Several members of the Council Bluffs Church were able to minister to a gentleman who recently lost his home to a fire and had to move into an old farm house on his property that is heated by a wood burning stove. 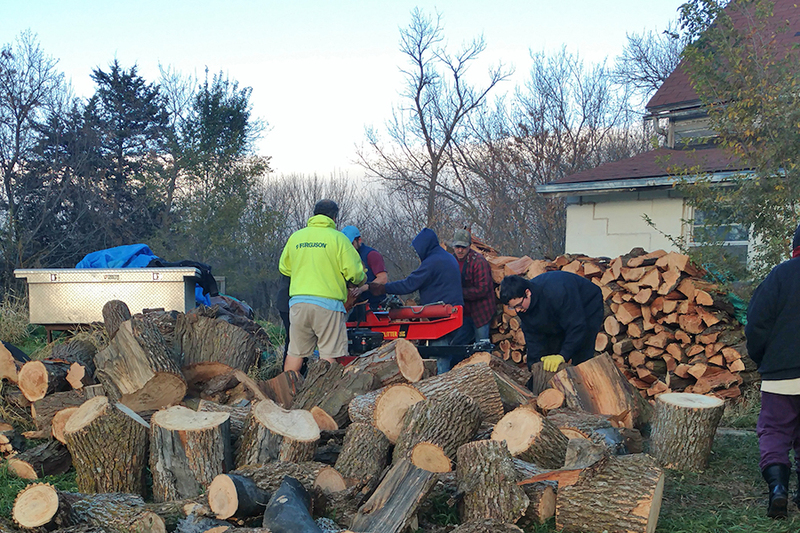 Many logs were cut and split that will help this gentleman stay warm throughout the winter. My husband, Michael, and I would like to thank the following people for joining us in sharing the love of Jesus with this man: Arlene Wright-Hall, Brad and Shannon Pigsley, Pastor Joshua Hester, Joe Lafave, Art Lafave and Brian Kirwa. Shona Hargens is a member of the Council Bluffs Church.